Shuttler Taufik Hidayat will try to reverse the decline of Indonesia as a badminton powerhouse. The 26-year-old has skipped most tournaments since his third-place finish at the Thomas Cup in May in order to prepare for the Games, where he took the men's singles gold in 2004. Not only will Indonesia's top singles player be up against bigger and younger players, especially from China and Korea, he'll also have to adjust to significant changes in the rules. With the winning score moved up to 21 from 15 and a point awarded to whomever scores, not only to the server, the world No. 6 will be facing a much faster game than the rally game he used to master. 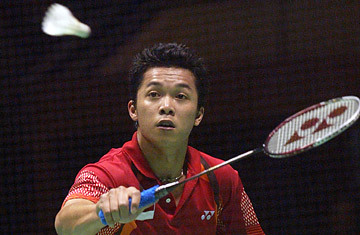 "Mental experience will not be enough," predicts Indonesian legend Rudy Hartono, eight-time All-England champion. "At his age he is already quite old and he will need intense preparation and some luck if he is going to win." The Beijing Games are expected to be Hidayat's last but with giants like China's Lin Dan standing in the way, finishing his career with one last gold won't be easy.